Our mission is to provide cost-effective bypassing and dewatering solutions to contractors, industries and municipalities through premium equipment and unparalleled service support. Cost-Effective: Cost-effective is not the same as cheap. Cheap equipment under-performs, but cost effective equipment is worth the cost of performance. Solutions: We ask a lot of questions when designing a pumping system. 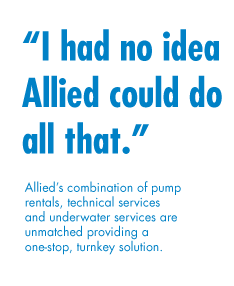 We want to choose the proper equipment to ensure your pumping project is successful. Premium Equipment: We use tough pumps, heavy-duty hose and durable fittings which will be reliable. Competitors often rent cheap equipment and charge extra when it fails. We don’t like that any more than you do. Unparalleled Service Support: Our service is what separates us from everyone else. We mobilize the resources you need to get the job done, and we keep working with you it is completed. 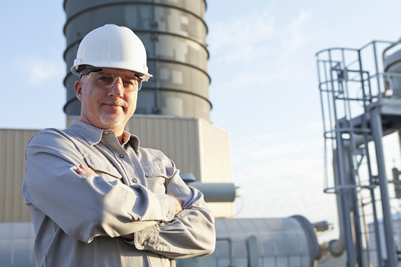 We bring this attitude whether you are handling an emergency failure, bypassing a sewer, draining a lake, providing a temporary fire system, or taking an entire treatment plant off-line.